This funny but educative workshop is dedicated to children from 6 to 12 years old. They will live as super heroes and will beasked to lead a real investigation. Through out this journey, they will experiment different games on the nose and a full range of surprises. The story will end by the creation of their own eau de toilette. According to the age of the child, you have a choice of 3 workshops. 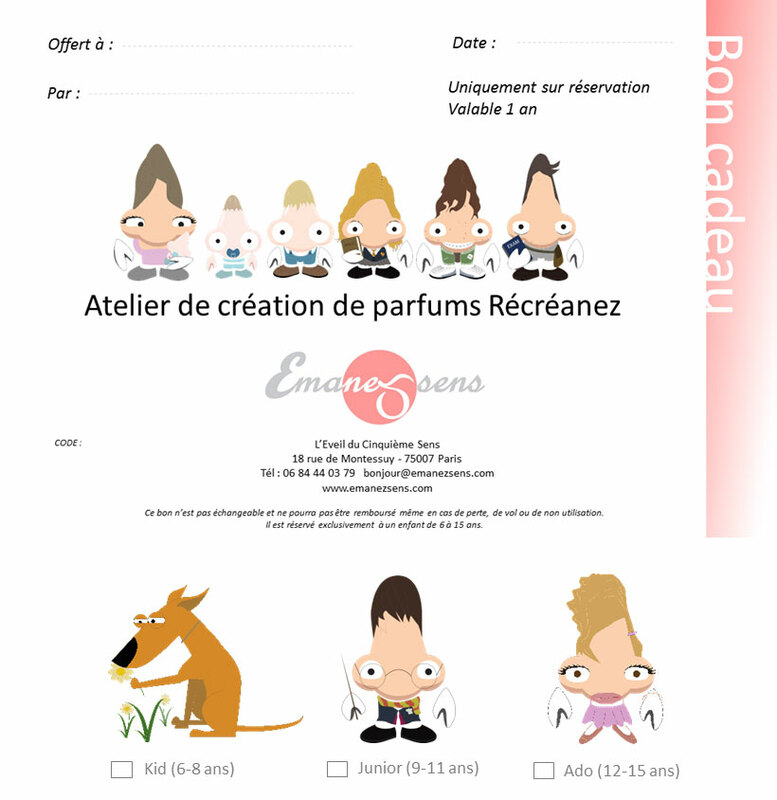 The child will go home with a bottle of his creation in 1fl.oz which is a nice gift for all young perfumer apprentices ! Workshop: Odors, stenches and fragrances will be smelled in those workshops full of surprises bordering on art, science, imagination and experience! Program: For 2 hours, the children will live as super heroes and will beasked to lead a real investigation. Through out this journey, they will experiment different games on the nose and a full range of surprises. The story will end with the creation of an Eau de toilette. The children will go back home with it. Public: Only for childrenfrom6 to 15.3 choices : Kid (6-8), Junior (9-11) and Teens(12-15). Organiser: A perfumer who is graduated from Cinquième Sens leads the workshop. The person is a « passion -nez », a good teacher who takes care of children’s needs. Reason: To stimulate the sense of children’s smell, to understand how the nose works and educate its sense. Then, to learn how to manufacture a fragrance from its research and development until its commercial release. To make an Eau de toilette formula and be sensitive to « la Belle parfumerie ». Process: Our teaching method is fun, gradual and interactive. 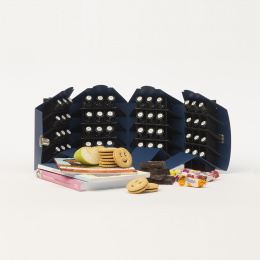 It is a mix between story-telling , educative games of odors and their effects on the sense of smell, puzzles to release creativity. 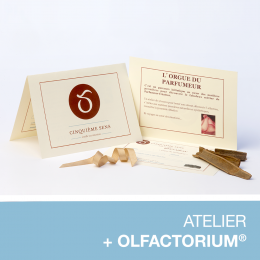 The kids will use real perfumers’ tools: Olfactorium, droppers, beakers, scales and blotters. The kids will receive an education al booklet that they will be able to keep after the session. They will also go home with a spray bottle (30 ml – 1 floz) which will be the result of their own creation.